Only 499 were made and now the world is down one more. 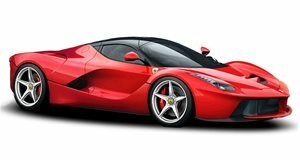 There’s not much that we know about this LaFerrari wreck in China. Apparently the driver was a teenager, or a very young looking Chinese man. The photos show a LaFerrari that looks to be almost completely destroyed. The rear driver-side tire is completely gone, the front-end is smashed in and the airbags have been deployed. There’s no information on whether anyone was hurt or if another supercar was involved in the crash, although the suspected driver looks to be unharmed.